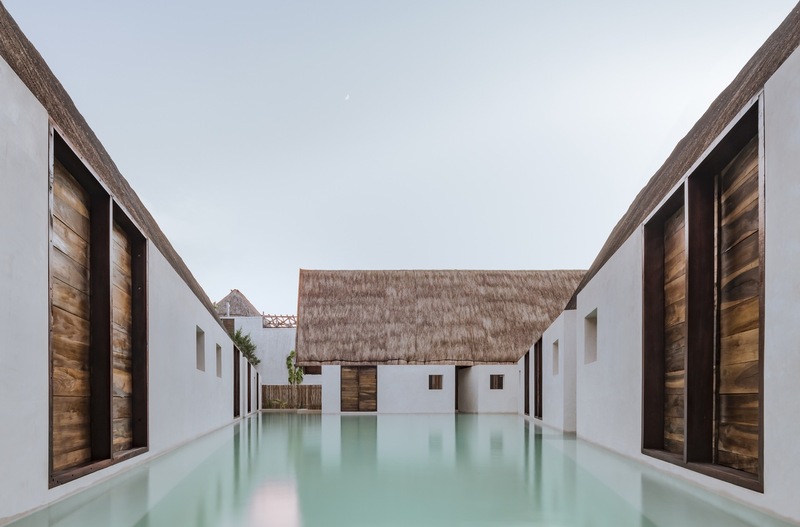 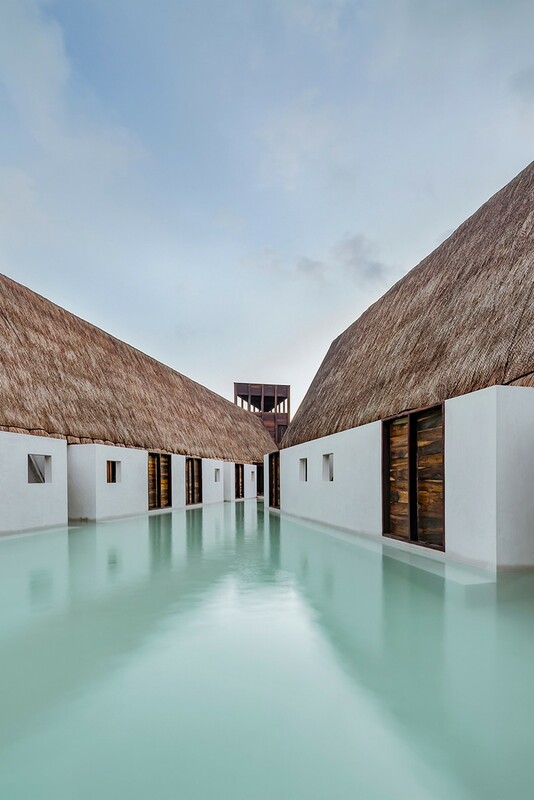 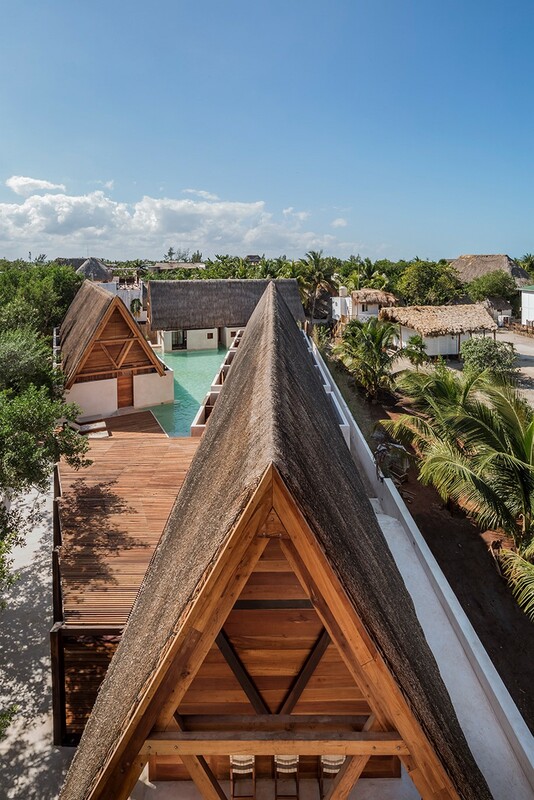 PUNTA CALIZA is a small, family-owned, design hotel in Isla Holbox, in Mexico, by a family of travellers very much in love with their country. 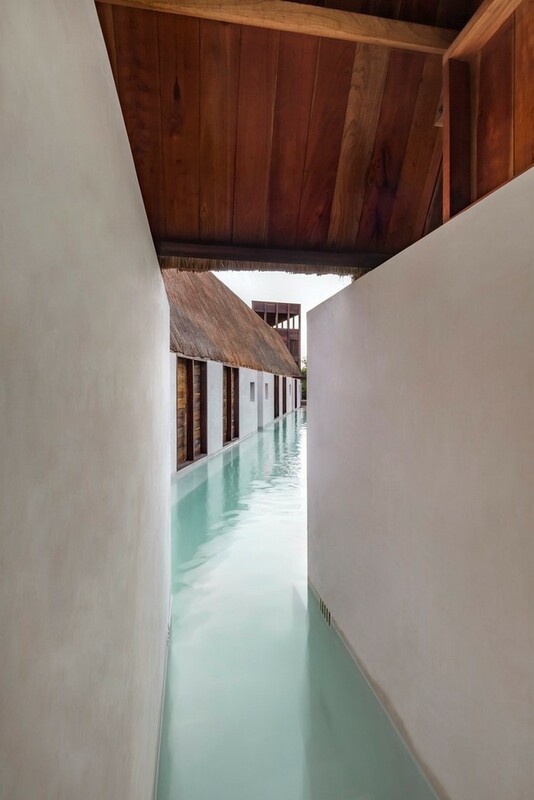 The beach is some distance away. 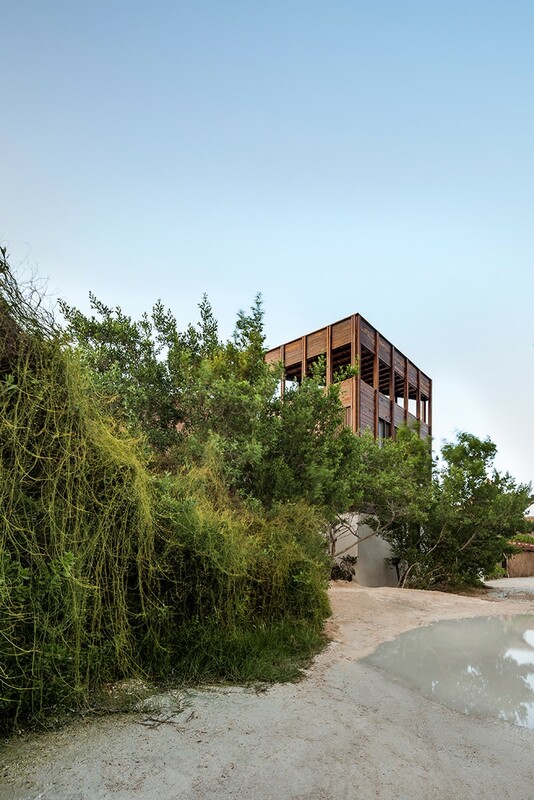 On a “leftover” space with no beach frontage and close to the boundary of the mangrove swamps, where construction is prohibited, the three bays of this construction serve to create an aquatic landscape all its own for this hotel. 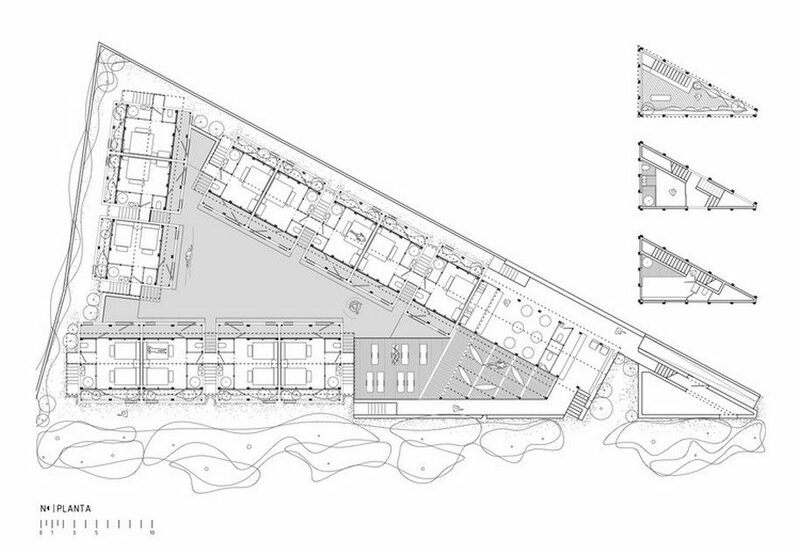 Three large green roofs contain the rooms, while remained isolated from each other. 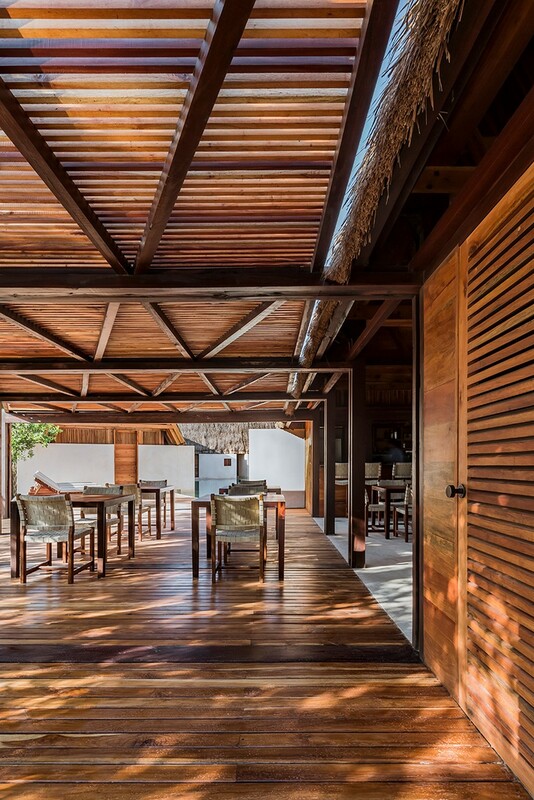 In this way, the palapa retains its clear and simple construction. 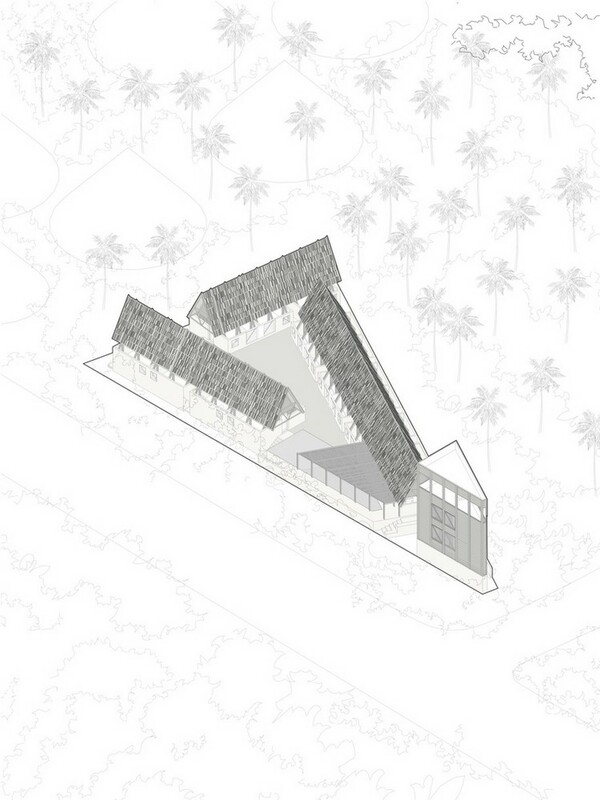 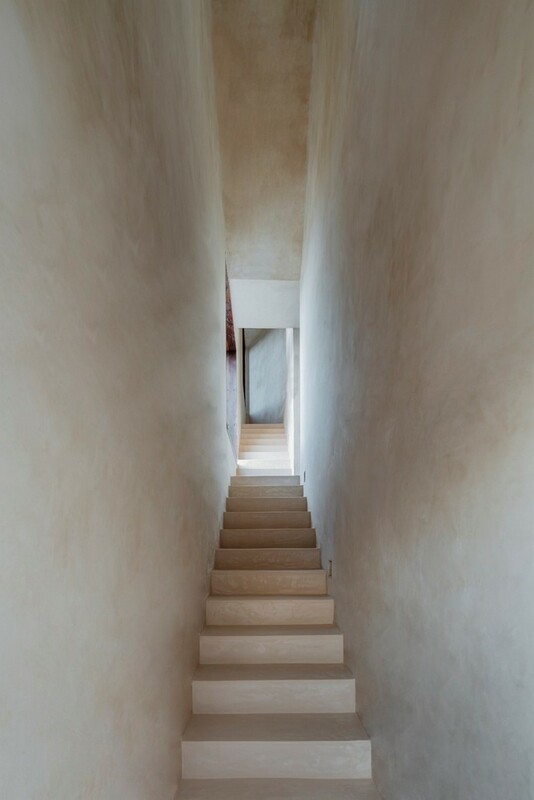 This archaic logic, learned from the traditional Mayan house, allows the walls to be freed from their structural role. 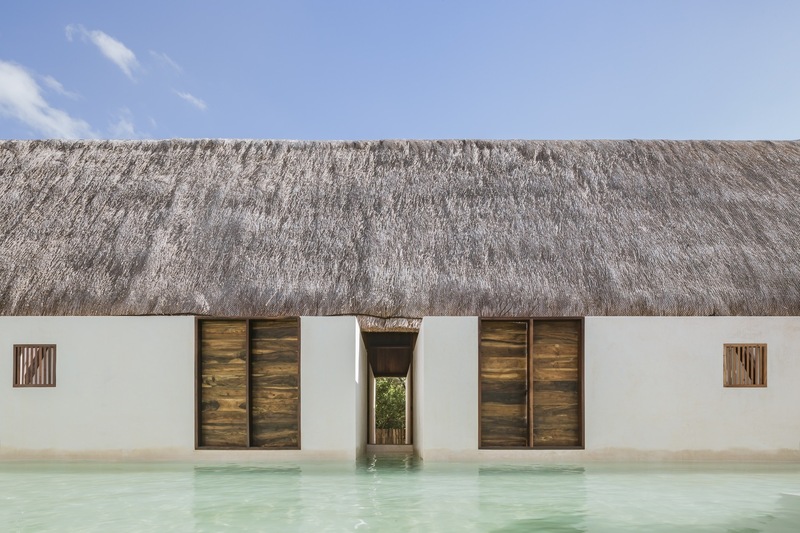 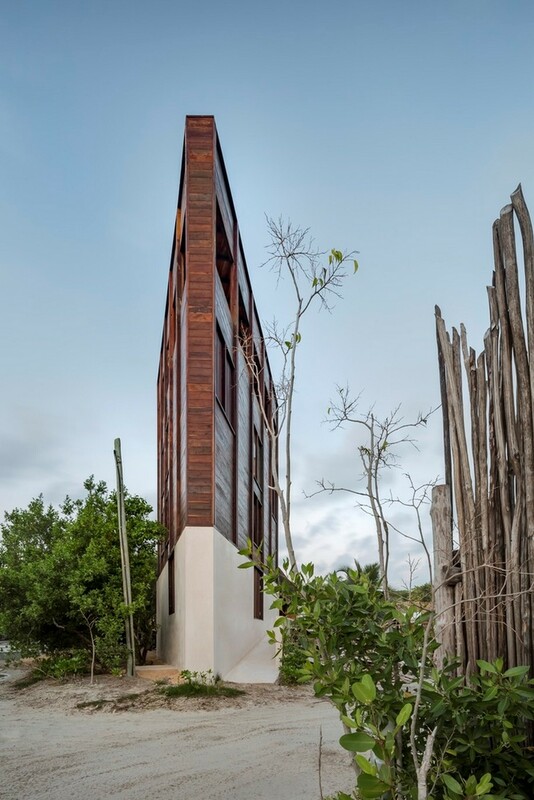 With the walls thus liberated, the room is isolated by the water, which flows in from the flooded courtyard, in a brief reminder of the mangrove swamps that cover Holbox Island. 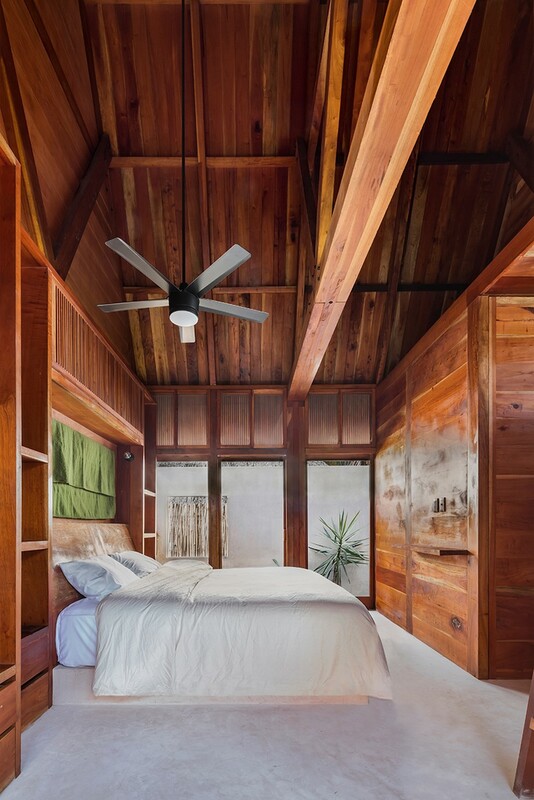 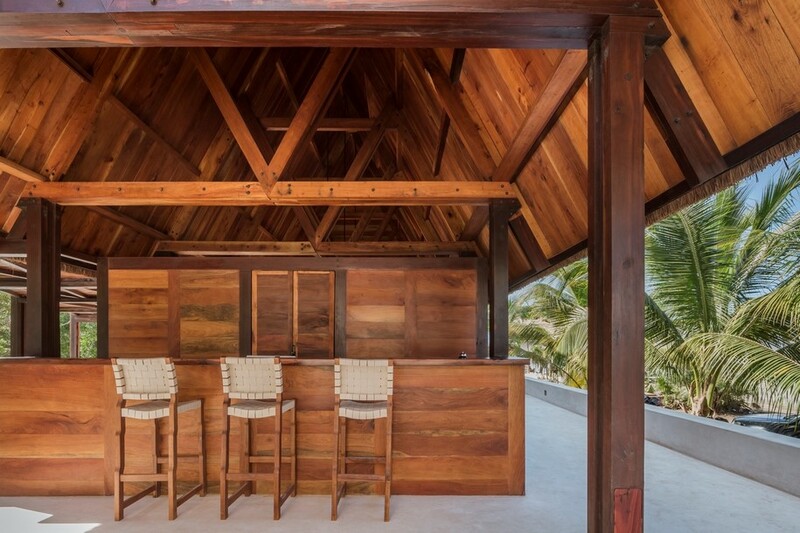 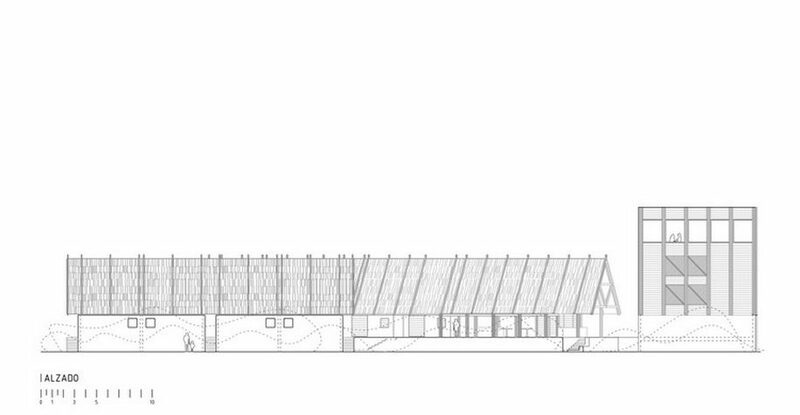 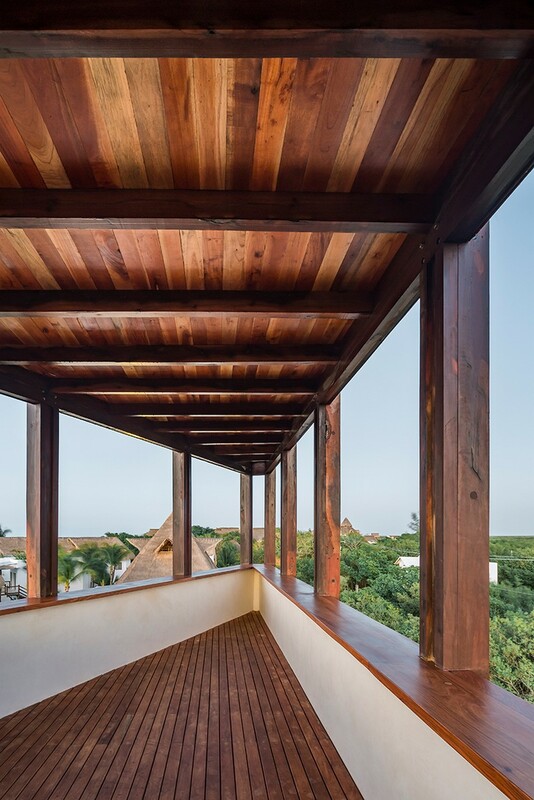 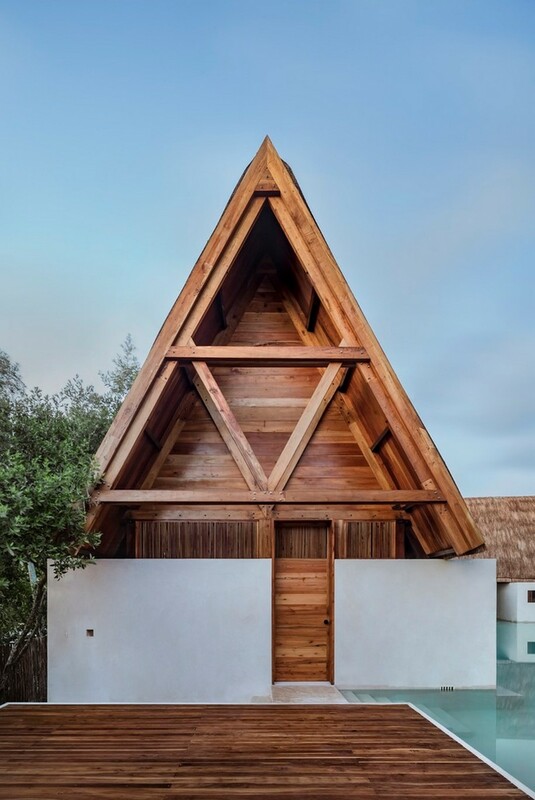 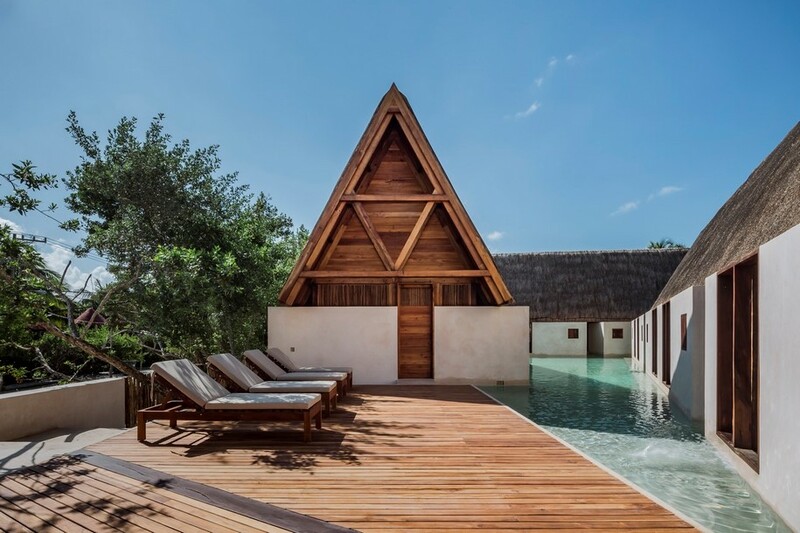 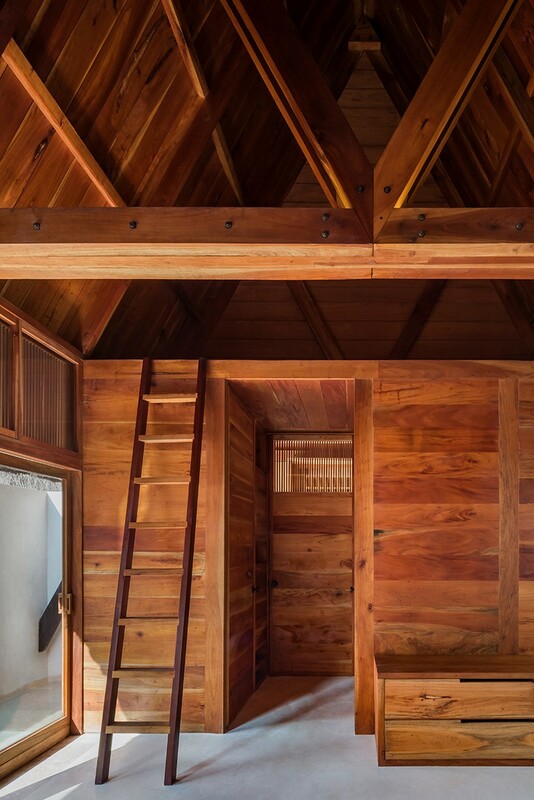 To be able to rest beneath a palapa built from solid, aromatic cedar wood and experience it as a space is the premise of all the rooms, which is why a second floor is precluded. 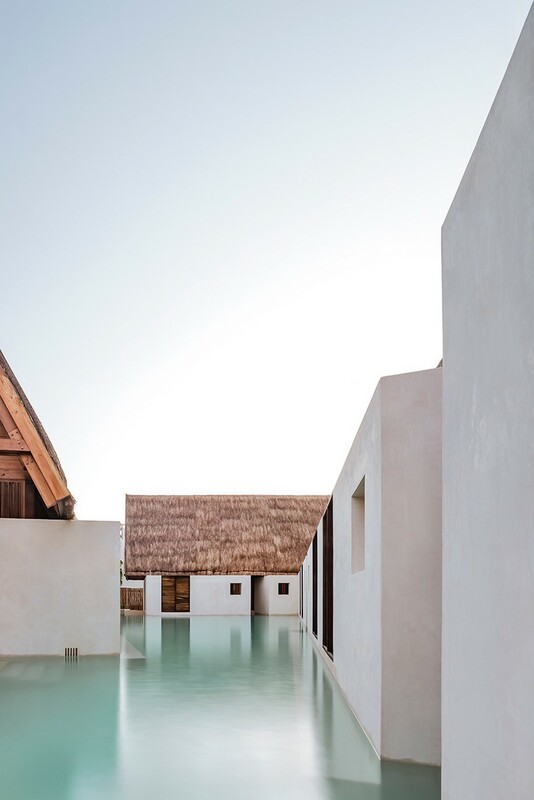 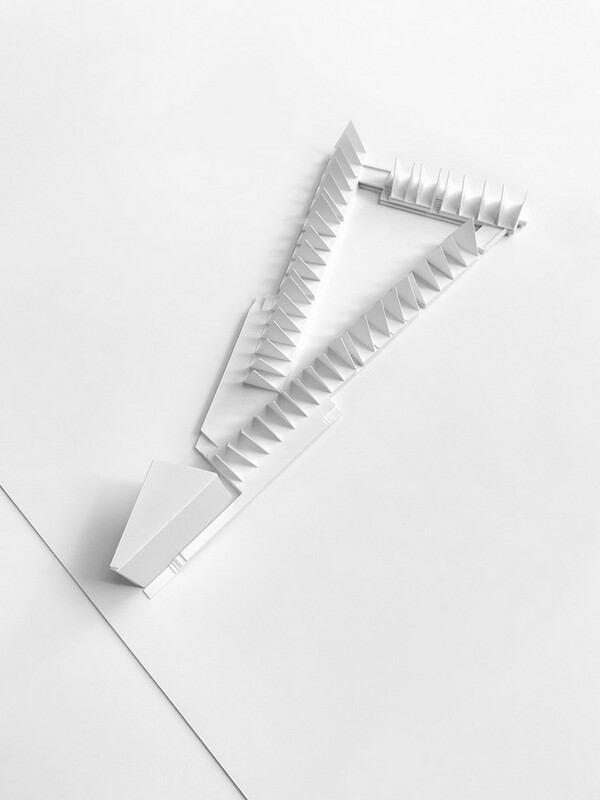 READ ALSO: Έρχεται το the Architect Show, η μεγαλύτερη γιορτή της Αρχιτεκτονικής & του Κόσμου των Υλικών!